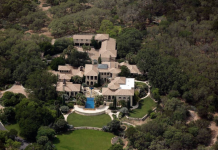 Pictures #1-5 – This is the home of Brian and Kim Ross. 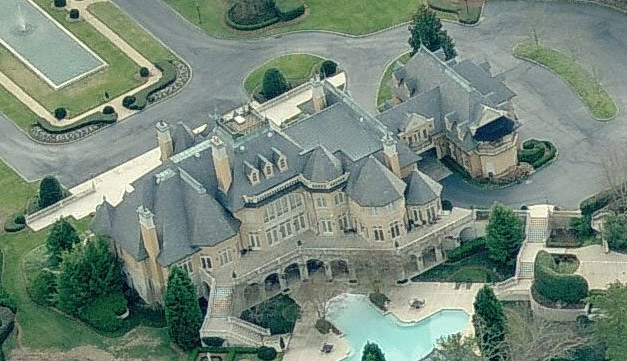 Brian Ross owns his own development company. 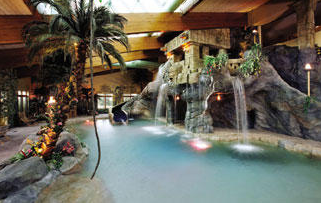 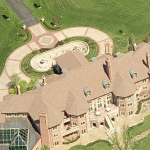 Their house is located on Niles Cortland Road NE, Cortland, OH and is 45,000 square feet. 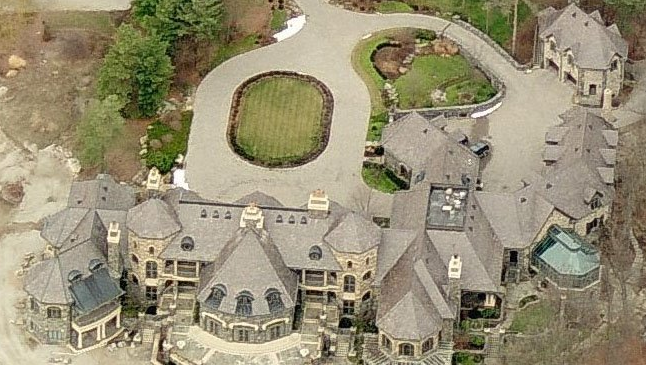 Pictures #6-7 – This is the mega-mansion of the disgraced Conseco CEO, Stephen Hilbert. 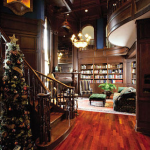 It is located at 1143 W 116th Street, Carmel, IN. 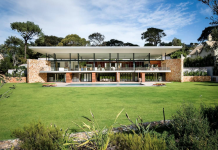 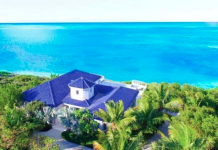 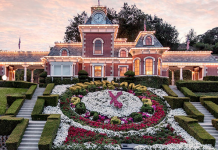 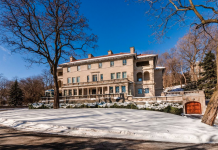 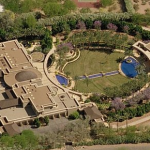 It is on the market for $20,000,000 and is 24,786 square feet. 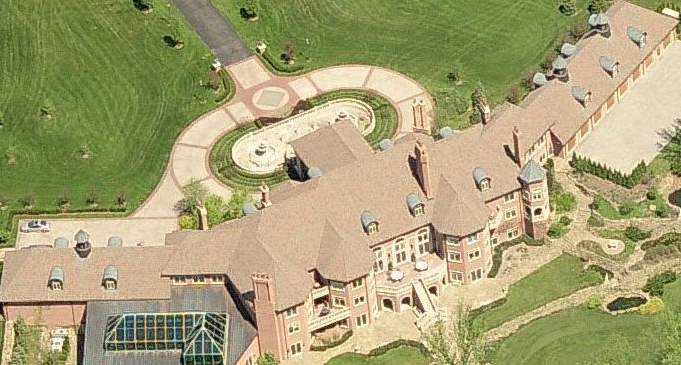 Pictures #8-9 – This is a mega-mansion that is located at W Hamilton Road S in Fort Wayne, IN. 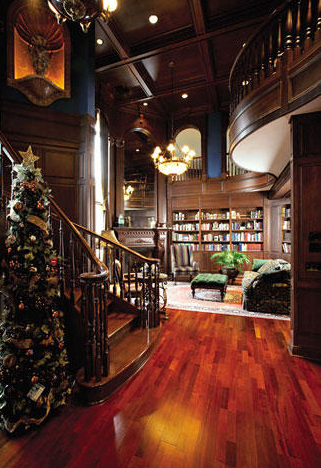 Pictures #10-12 – This is the home of Sherwin Glass, the founder of Farmer’s Furniture Company. 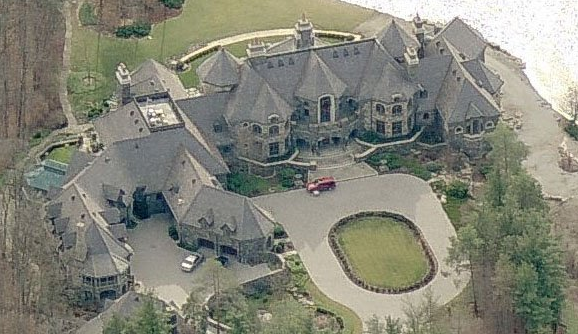 It is located in Norcross, GA. 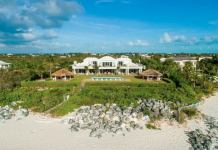 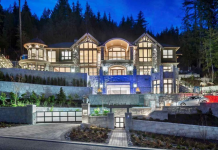 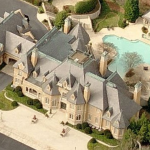 It has 30,000 square feet and includes 11 bedrooms, 20 bathrooms, and a racquetball court. 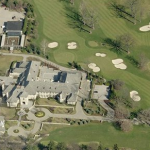 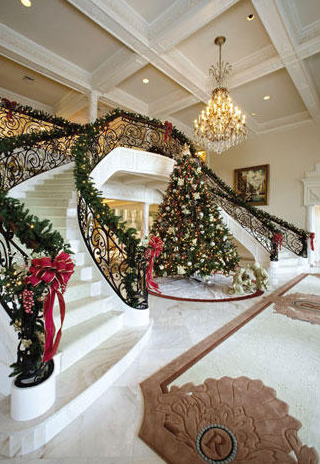 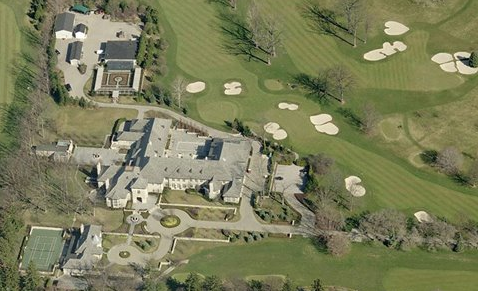 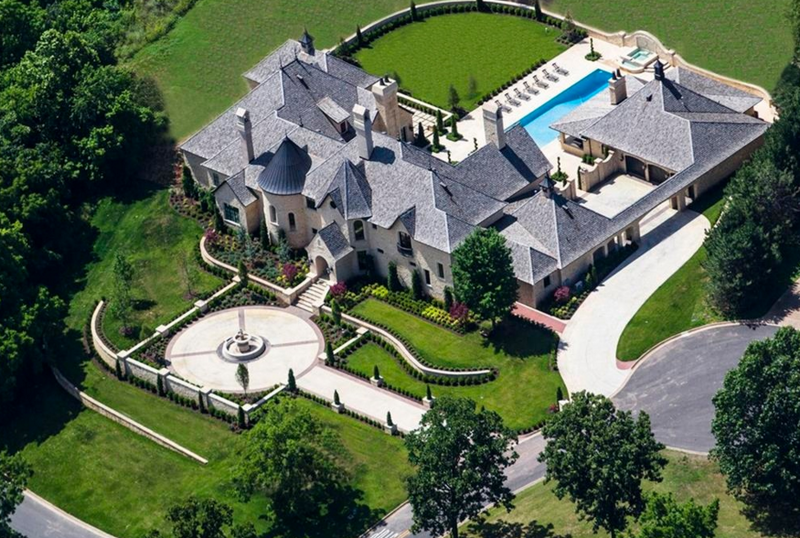 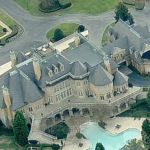 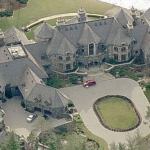 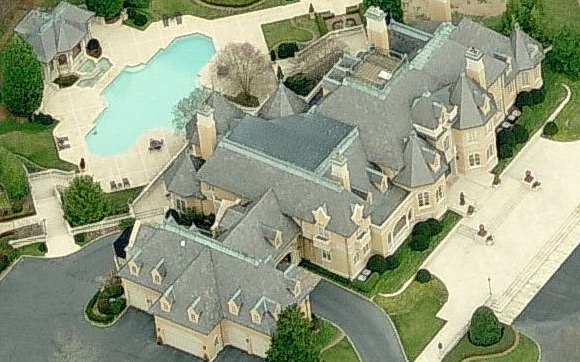 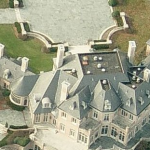 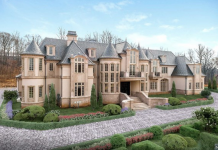 Pictures #13 – This is Russell Simmons’ 35,000 square foot mansion located at 101 Fox Hedge Road, Saddle River, NJ. 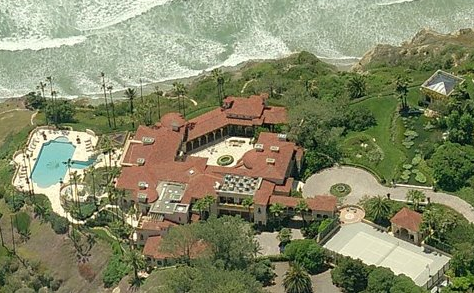 Picture #14 – This is Ronald Burkle’s $30 million mansion in La Jolla, CA. 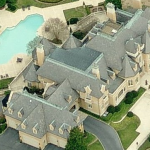 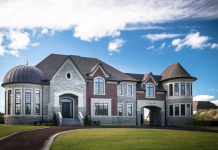 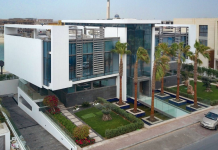 It has 9 bedrooms, 13.5 bathrooms, and 26,674 square feet. 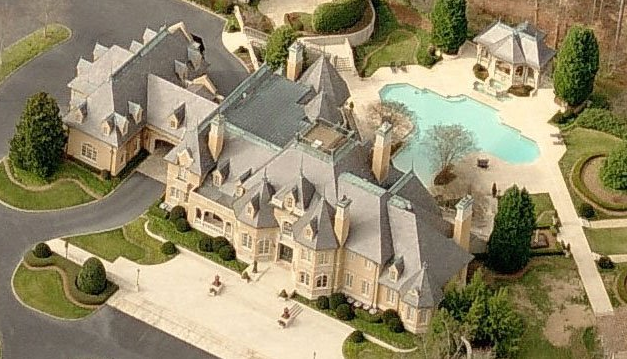 Picture #15 – This is Mel Simon’s mansion in Indiana. 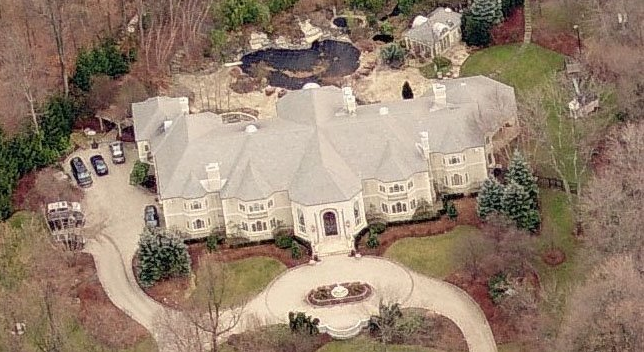 Mel Simon is the co-founder of Simon Malls. 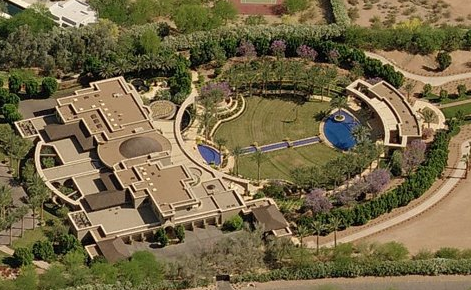 Picture #16 – This is Robert Sussman’s $30 million mansion located in Paradise Valley, AZ.